The form and formalism of architecture underpin the work of Madrid native, Javier Mateos, who over the evolution of his practice since graduating from the prestigious Complutense University of Madrid in 2002, has veered ever more into the arena of abstraction. 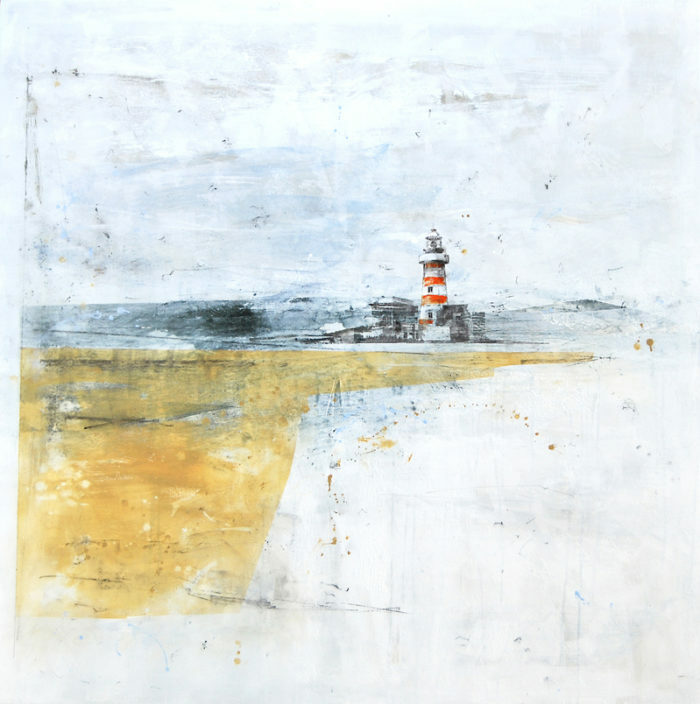 Using a range of oxidized colours and a mixture of strong back line and delicate drawing, Javier works on a muted, heavily built-up background that gives a spatial suggestion of landscape. Some works contain hints of the figurative, others employ numerals, typography and map-making amid overlaid marks and colour, all pulled together with the compositional eye of a master draughtsman. 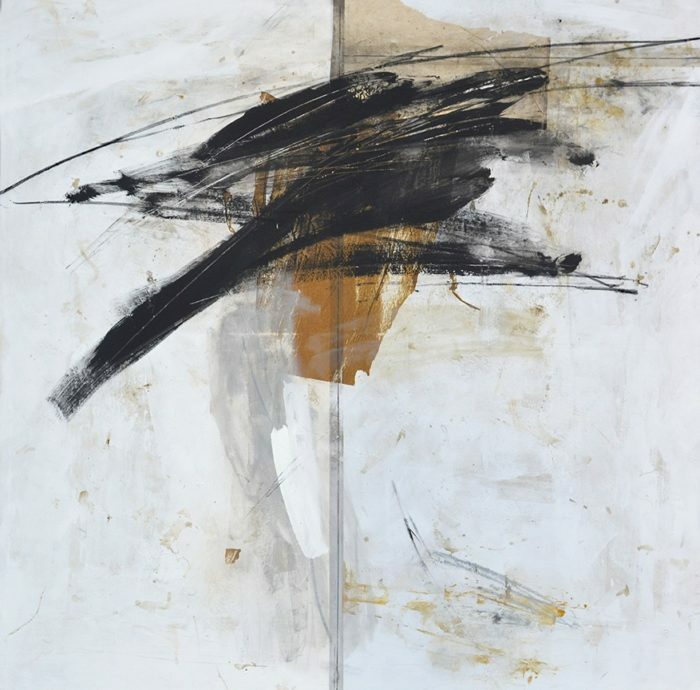 As with his abstract expressionist influences, Javier’s work shows visible signs of the artist’s working process. Although rooted in the urban environment, the images he creates have a primitive quality. His use of red, often splashed amid black and white elements, brings a visceral energy to his body of work. Javier has participated in many exhibitions throughout Spain. His paintings are widely held in private and public collections in Europe and the United States.